Incubators are popular with both poultry farmers as well as enthusiasts who wish to set up a convenient process for hatching their eggs. Since incubators provide steady temperatures and humidity levels, the embryos get optimum conditions to grow, resulting in better hatch rates. 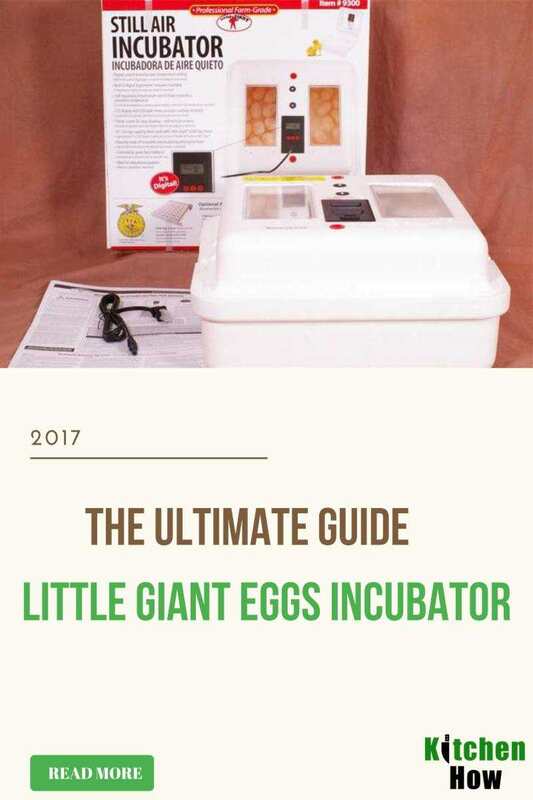 Little Giant Egg Incubators, as well as their additional parts and accessories, are a great resource for those looking to purchase an incubator for their farms or backyards. But how do you tell which model of the incubator is ideal for you? Should you invest in Little Giant Egg Still-Air Incubator or the one with the Circulated Air Fan? Should you purchase the egg turner with it? ​Miller Manufacturing is the maker of the Little Giant Egg Incubators. They have been manufacturing and distributing various farm, ranch, and pet products for over 69 years. The Little Giant range of products includes Little Giant Still Air Incubator 9300, Little Giant Egg Incubator 9300 with Circulated Air Fan, Little Giant 6300 Egg Turner, Little Giant 7200 Fan Kit and Little Giant 6302 Quail Egg Racks. ​The mesh screen is made of plastic which can be washed easily, helping you to maintain hygiene inside the incubator. 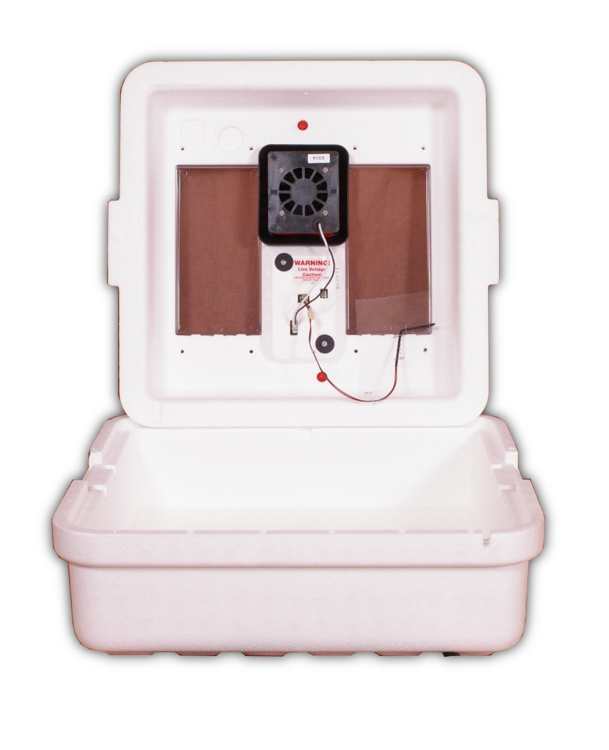 The incubator weighs about four pounds.Additional accessories can be purchased with the incubator to enhance the hatch rate. This includes a forced air fan kit and an egg turner. ​Temperatures inside an incubator can vary up to five degrees Fahrenheit when the top and bottom portions of the incubator are compared. As heat rises in the incubator, it creates hot and cold zones. 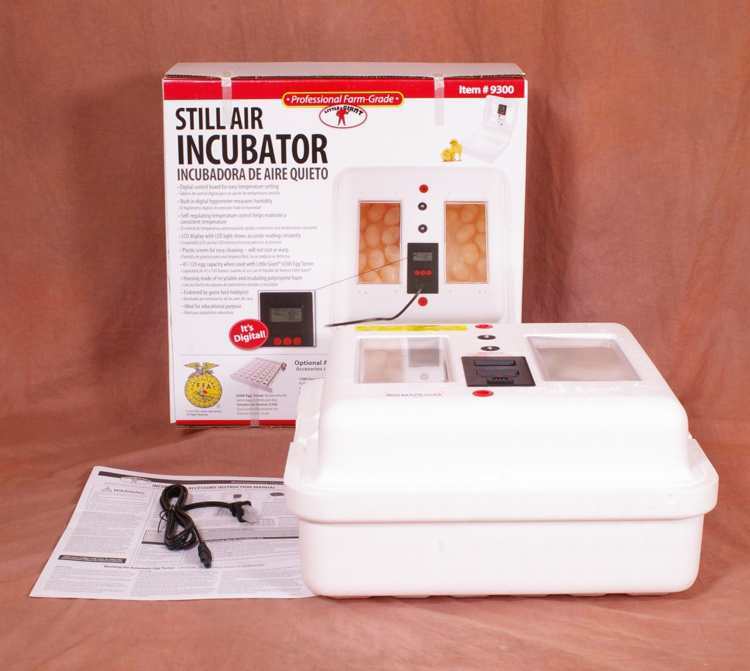 The Little Giant Egg Incubator 9300 has a forced air fan installed that provides air circulation. This helps maintain even temperatures in the entire unit. Hatch rates are improved as there are no “hot” and “cold” spots and all eggs are heated in an even manner. The incubator has two large 4x8 inch windows through which you can view the eggs and monitor the activity without having to open up the incubator. The incubator also has water troughs built-in, in which you can fill water to help maintain a constant level of humidity inside the unit. The entire unit weighs approximately 7 pounds. The incubator has a built-in thermostat, which can be used to monitor the humidity and temperature. Also, since there is a fan circulating the air inside the incubator, it ensures that the unit does not get overheated, which is a common problem witnessed in some incubators that come with high-speed fans. The Little Giant Egg Incubator 9300 with Circulated Air Fan can hold up to 40 eggs of ducks or turkey, 46 eggs of chicken, 90 eggs of pheasant and 188 eggs of quail.Among the accessories sold separately for the Little Giant Egg Incubators, these are the most popular ones. ​The Little Giant Egg Turner 6300 is an automatic egg turner that turns eggs six times daily, 30 degrees in each direction. It includes the universal sized rails, which can hold up to 41 eggs of any size from a quail egg to a duck egg. The eggs racks are safe to wash in a dishwasher. The Turner can fit inside any Little Giant incubator and requires no assembly. For those looking for great deals and a combination of products in a single kit, Little Giant Egg Incubators Combo Kits come with some great accessories.